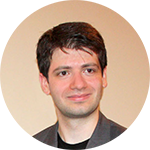 2002He became the youngest member of the Bulgarian section of the International Solar Energy Society (ISES). The competitions are organized by the Union of Architects in Bulgaria (UAB), Ministry of Education and Science (MES), Association for Sustainable Development. The awards are part of a national architectural competition for conceptual design "Archidea-2004" organized by the Union of Architects in Bulgaria (UAB), the International Academy of Architecture, "Sofia Architects Association" and Bulgarian construction site. He stands out as the youngest participant and winner of awards. 2004Included in the list of 28 famous Bulgarians in the sequence of the Union of Publishers in Bulgaria "Created by Bulgarians". 2010 Comprehensive presentation of his work. 2011гAuthor's exhibition "The Renaissance Spirit of Koprivshtitsa and Melnik"
2012Co - author in the exhibition project "Tolerance"
•	Sofia - National Archaeological Museum, under the auspices of the Ministry of Foreign Affairs of the Republic of Bulgaria and Sofia Municipality. •	Plovdiv - Regional Archaeological Museum, under the patronage of the Municipality of Plovdiv, Plovdiv Regional Administration and Honorary Consul of Italy. •	Burgas - Cultural Center "Marine Casino", under the patronage of the Municipality. On the occasion of the project Todor Nanchev creates and displays in public the first artistic model-reconstruction of the authentic look of the ruined synagogue of Vidin. The artwork is in the permanent exhibition at the Jewish Historical Museum at Sofia Synagogue. 2012 Author's exhibition "Bulgarian Renaissance houses"
Organized by the Bulgarian Cultural Institute in Prague, part of the "Architectural week - Prague 2013" held under the auspices of UNESCO. 2015Author's exhibition project "Bulgarian baroque looking to the future"
Representing the first to date art restoration of authentic look of Kuyumdzhiev House in Plovdiv, in partnership with the Regional Ethnographic Museum Plovdiv and Confindustria Bulgaria. The artwork is a focal point at the permanent museum exhibition . •	Contributing to the development of sustainable tourism based on cultural historical and natural treasures of the regions. Author of projects for the promotion and socialization of Bulgarian and European architectural heritage. His works are owned by private and museum collections in the country and abroad. 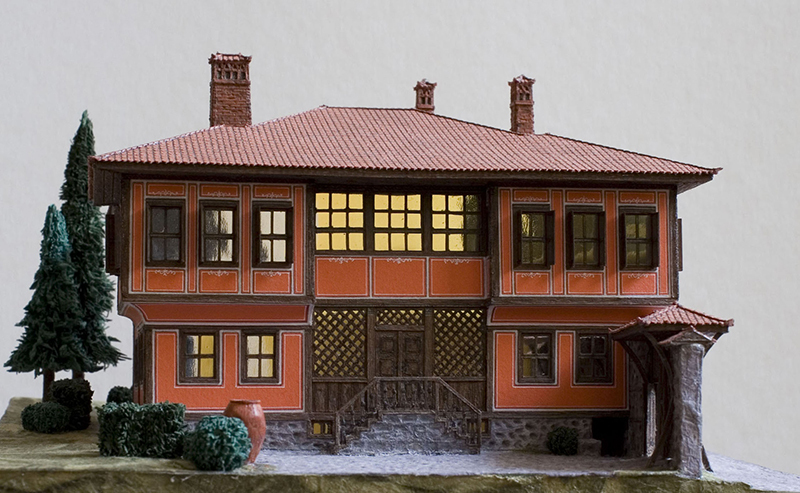 The creative work of Todor Nanchev is a fusion of fine art, architecture, design and history. Each piece is entirely hand-created work of art: from copyright models of Bulgarian Revival houses and Norwegian stave churches recreating the spirit of priceless parts of the World heritage, to artistic reconstructions of destroyed, ruined or altered architectural monuments. Through the cultural and socially engaged projects of our foundation, we have a primary mission to build bridges between our historical heritage, the culture of our modern society and the sustainable future for the generations after us. Todor Nanchev Foundation calls for a unique school for our country to be saved: the Stone School in Vratsa region!